What I personally enjoy about this recipe is that you can literally take it and flip it a bit. Instead of granola you can use crushed up graham crackers. 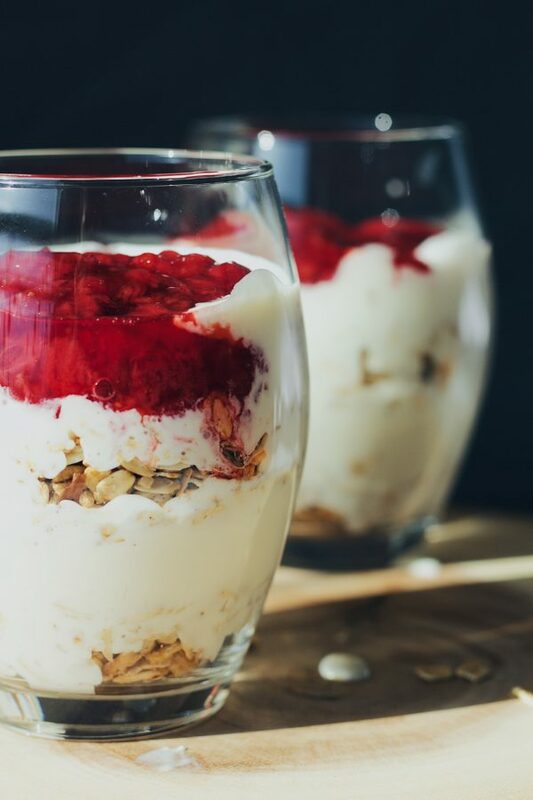 You can even replace; the coconut milk with 1/3 cup of sour cream for that original cheesecake bite or replace your strawberries in the jam (compote, whatever) with different berries. Try it out! Make it for a group of people, for yourself, a friend or bae. Let me know how you recreated it and made it your own. Save yourself time by not having to bake your cheesecake and tossing it into a cup.